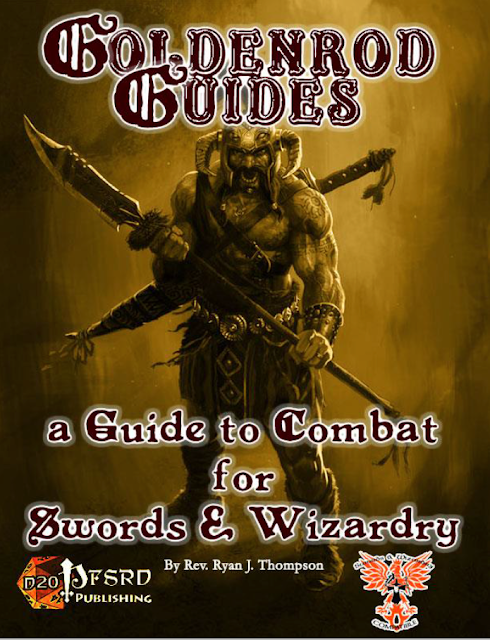 Goldenrod Guide: A Guide to Swords & Wizardry Combat is written by +R.J. Thompson . If you don't know who R.J. is, he is the brave soul that picked up the mantel of Swords & Wizardry Appreciation Day from me. His system of choice? Swords & Wizardry. Now, what I'm holding in my virtual hands is optional combat rules for Swords & Wizardry Complete. For those that aren't familiar with S&W Complete, think of it as AD&D 1E, where all the complicated rules that few if any groups used are thrown out. The ease of use of Basic D&D with the class options of AD&D 1e. 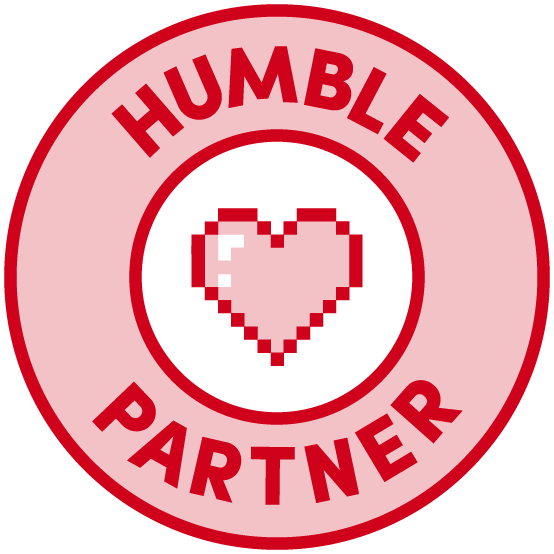 Some groups bemoan the loss of some of the more in depth rules, sensing a loss of the granularity and options. GG: A Guide to Swords & Wizardry Combat allows one to add some of those options and depth back in. The great thing about GG: A Guide to Swords & Wizardry Combat is that the options are modular. You can mix and match for the most part without anything breaking. New rules for two weapon fighting, disarming, called shot, unarmed combat, disengaging combat, missile combat, critical hits and more are here as well as weapon proficiencies, weapon specialization and fighting styles. Heck, even tournaments are covered. There literally is something for everyone. 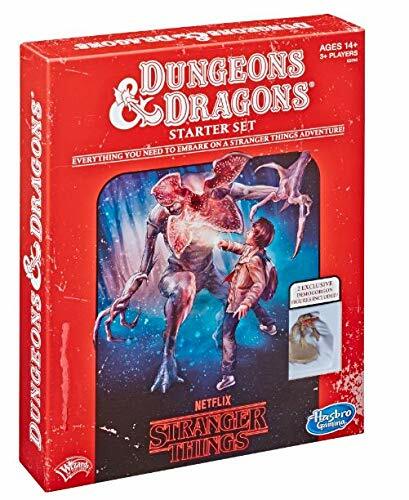 While much will be familiar to the former AD&D player, some is new and almost all is tweaked to better fit the simpler Swords & Wizardry rule set. Its an excellent mix of options to add to your S&W game. There are a lot of content squeezed into these 16 pages. I suggest you stick with adding a small handful of options at a time, see what works for you, discard what doesn't and then move on to more options if you so desire. They do generally add some complexity but they also add flavor and depth to the combat system. 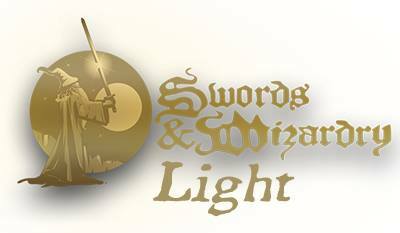 The flexibility and modularity of Swords & Wizardry is impressive.